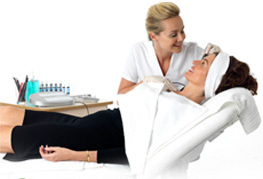 A type of controlled wounding body treatment procedure is known as chemical peel. It makes use of a chemical acid mask which encourages peeling and blistering and urges the dead skin to slough off and gradually peel off. The procedure is operated to improve and smoothen the facial texture of the skin. Compared to the old skin, the rejuvenated skin shows more smoothness and less wrinkles. The overall appearance of the facial skin is eventually improved by using chemical peel or derma-peeling or chemexfoliation. The new skin produced will initially show some temporary sensitivity to the sun. Chemical peels are majorly used to boost the appearance of the sun damaged facial skin or the back of the hands. Chemical peel never helps with the slowing or averting down of the aging process nor it can be considered as an alternate to surgery. Dead skin can be easily removed and pores can be unclogged using chemical peel procedure. The pore unclogging is done to release whiteheads and blackheads and recurrence is also prevented. Since the outer layer of the skin is peeled, the procedure helps to soften and control acne facial scars. Although a guaranteed cure for dry skin is not provided by the chemical peel, but it can be used to illuminate the face or reduce the dry skin. It is more suitable for facial blemishes, uneven skin pigmentation and wrinkles. Pre-cancerous skin growths may be removed with chemical peel. The lines formed below the eyes and around the mouth are removed by them. Like plastic surgery, the results of chemical peel are not permanent. The skin remains to be damage sensitive. Better candidates for chemical peel are those who are fair-skinned and light-haired. Depending upon the type of tissue, good results may also be observed in darker skin types. For achieving cost-effective skin rejuvenation which is customized to individual patient’s needs, the chemical peeling procedure is done in conjunction with laser resurfacing, soft tissue fillers or dermabrasion. Superficial Peels: The epidermal layer of the skin is removed. They are the most commonly used type of chemical peels, of which most are some form of hydroxy acid. When these are applied to the skin surface, they cause exfoliation. These peels include alpha hydroxy acids, such as tartaric acid and lactic acid. Since beta hydroxy acid, salicylic acid can penetrate deeper oil glands of face and scalp causing exfoliation, so they are considered to unique. Another hydroxyl acid in use is the glycolic acid. Different hydroxy acids such as salicylic acid and lactic acid, combine to form Jessner’s peel. These peels are often used as superficial peels. Dry or flaking skin, rough skin texture, mild acne marks, age spots due to sun damage, and irregular skin tones can be reduced with superficial peels. Medium depth peels: Here, both the upper dermal layers and epidermal layers are removed. Certain pigmentation problems, small wrinkle lines, and acne scars can be reduced with medium depth chemical peels. Stronger peeling solutions are involved in this procedure. The higher strength T.C.A. Or Trichloroacetic acid is the commonest of these peels. A more correct and controlled depth peeling is achieved by combining TCA with glycolic acid or other such solutions. Deep chemical peels: Extended peeling stretches deeper into the lower dermal skin layer. They are mainly helpful in reducing the appearance of deeper lines, scars, and wrinkles. Phenol, or 40% TCA is generally used in the execution. One of the strongest chemical solution is the phenol, and so brings about deep skin peel. Phenol chemical peeling is seen to provide persistent results. For the right patient, deeper peel procedure has been recommended to be highly effective. However, this procedure accompanies a number of potential risks. The blotches caused by aging or sun exposure, precancerous growths, and coarse deep wrinkles, can be easily corrected with phenol peels. TCA (trichloroacetic acid) peels, phenol acid peels, or lactic peels, glycolic acid chemical peels, and salicylic acid peels are used for thoroughly cleaning the skin. It also helps in the removal of excess oil and protection of hair and eyes. Following the procedure, a reaction similar to sunburn may occur depending upon the type of chemical peel used. The redness and scaling observed in the peeling procedure, usually ends within three to seven days. The The amount of skin removed depends upon the type of chemical used, product strength, and the duration for which it is kept on the skin. Depending upon the type of peel and problem being treated, the private costs for chemical peels varies. The intensity and number of pimples and post-scarring chances can be decreased or completely diminished by using chemical peeling. The signs of aging can be easily treated with deep chemical peels. It is also useful in the treatment of acne and acne scarring. The results obtained are individual specific, and seem to be mixed. The type of acne, complexity of acne or scarring, and the type of skin, determines the potency of chemical peels. Depending upon the individual’s condition, layer of peeling used and any post-treatment complications, the recovery period can range from several days to weeks. Deeper peels comprises of more number of complications. Prolonged erythema, white heads, textual changes, pigmentation changes and skin atrophy are the possible complications. When superficial peels are used, some people may experience moderate stinging sensation. Often, the face of the patient appears pink, or in some areas a faintish white discoloration or a blotchy skin appearance is observed. Hyperpigmentation is the major risk or side-effect for superficial and medium peels. A significant use of sunscreen can minimize this risk potential. Very rarely, the patient experiences cold sores or skin infection. In medium peels, after the application, the face may swell and appear pink and may witness some burning and stinging of the skin. Sometimes, brown spots or hyperpigmentation may occur. The brown areas may be reduced with bleaching creams. Following a medium depth peel, in rare cases, scarring may be developed in some patients. Although, these risks are unlikely, but this can be occasionally permanent. However, chemical peel is unresponsive to bulges, sags, and more critical wrinkles. In such conditions, other cosmetic surgical procedures such as a facelift, eyelid lift, laser surfacing, brow lift, or soft tissue filler, may be required. The most appropriate treatment procedure for each individual case can be determined with the help of a dermatologic surgeon. After the use of deep peeling procedure, patients often feel unwell for several hours. Pain-killers can be used to control moderate to severe pain. The redness usually subsides in 3 to 4 months while the swelling of the face takes a week to disappear. In the post peeling period, white spots or small raised cysts occur on the face during the initial 6 to 8 weeks and usually lasts for a duration of few days or weeks. The commonest problem associated with deep phenol peels is the permanent hypopigmentation. Hyperpigmentation problems may often develop in patients.